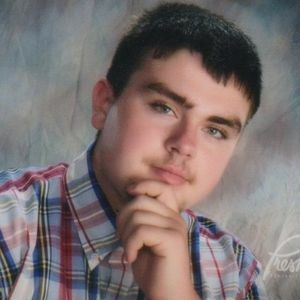 Zane Maldeis Obituary - Perryville, Maryland - R.T. Foard Funeral Home, P.A. Zane Alexander Maldeis, 22 years young, of Perryville MD passed away suddenly on Friday March 15, 2019. Born in Baltimore, he was the son of Laurie Maldeis and the late Jeffrey Maldeis. He is survived by Laurie Maldeis and stepfather Greg Barron, his brother Zachary Maldeis, grandparents Buster and Phyllis Glover, aunt and uncle Tina and Wayne Graybeal, uncle Kenneth Glover, aunt and uncle Debbie and Mike Maldeis, cousins, Kayla and Josie Maldeis, grandfather Bob Maldeis, and uncle George Maldeis. He is also survived by many friends. Zane was loved by all who knew him and always had a smile on his face. He never met a stranger in his short life. A family directed memorial gathering will be held on Sunday, March 24, 2019 at the Perryville American Legion Post #135, 300 Cherry St, Perryville, MD 21903, from 1 pm to 4 pm. Add your thoughts, prayers or a condolence to Zane's guestbook. Please enhance this tribute to Zane by adding your memories and photos.